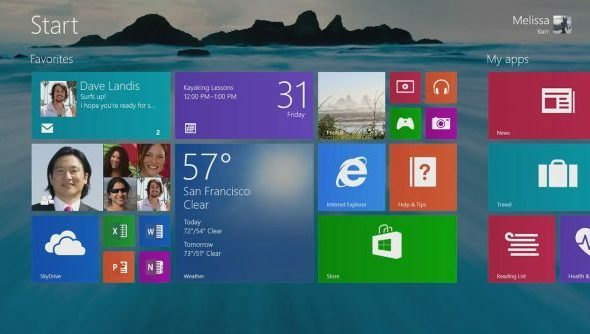 The first significant update to Microsoft’s much maligned Windows 8 has finally arrived in the form of Windows 8.1, also known as The Halloween Update, but what cool new features does it introduce? If you’ve been following the tech blogs then you’ve probably already heard that after updating to Windows 8.1 your computer’s CD tray will begin to dispense an unending torrent of baby spiders, but that’s not all the new update contains! 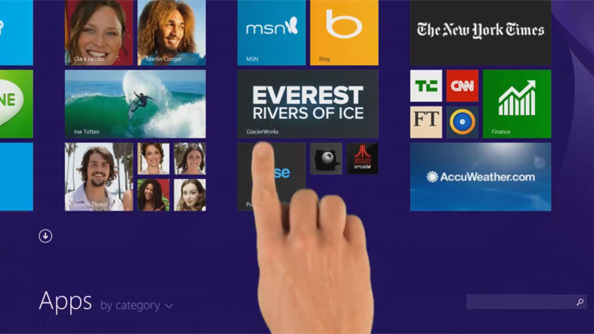 Click through for the top 10 coolest new features in Windows 8.1. Your CD tray will now open and shut repeatedly, each time delivering a fresh payload of baby spiders to your living room, regardless of whether or not your machine is switched on. In fact, unplugging your PC at the wall will only accelerate the process and cause an even angrier kind of spider to spill out of your computer’s USB ports before chasing you around the living room, hissing and jumping at your face. The Start Button makes a comeback in Windows 8.1, but it no longer grants access to the classic Start Menu. Instead it launches the tiled interface, which you could do anyway by pressing the Windows key or by clawing at the border of screen with your mouse cursor. Clicking and holding on the Start button launches the system preferences menu for some reason. So, in a more accurate sense, and contrary to what I just said, the Start Button has not made a comeback. Your in-built PC speakers will now emit the barely audible whispering sounds of dead relatives from generations past, which fade away the moment you attempt to pay attention to the specific words being uttered. The grave intonations become more threatening and sinister as time passes, relenting only occasionally as your great great uncle berates you for not purchasing a Microsoft Surface Pro. Once installation of Windows 8.1 is complete, your location will suddenly become apparent to El Cuco, the child-eating forest horror of Spanish mythology, who will immediately begin to stalk you. Depending on your whereabouts it may take many years for El Cuco to finally reach you, but his slow progress will be constant, the gradual shortening of the distance between you inexorable, and his eventual arrival unexpected. Seven days after installing the update, while browsing an antique shop they had never noticed before, users will discover a spooky old doll, its vintage porcelain face forever staring ahead with glassy eyes, its pinkish lips pursed into a crooked smile and its faded and cracked rose cheeks betraying its age. “What a spooky doll,” users will say as they discard it, roughly and without concern, only for it to turn up in their kitchen that very evening. “Did you bring this spooky doll into the house?” users will ask their husbands and wives. “No, I’ve never seen it before,” the husbands and wives will reply. “Well that’s spooky,” users will then comment. 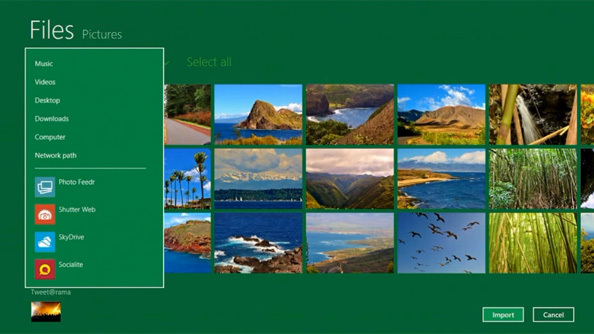 You’ll be able to bypass the new tile-based Start Menu and boot straight to the desktop. This is convenient for users who would rather not treat their desktop PC like a giant, second rate iPad, an iPad where your fingers refuse to be recognised by your non-touch sensitive screen, like Bruce Willis in The Sixth Sense, temporarily trapped between worlds, unable to interact with the person he loves, so close to his favourite apps yet painfully distant at the same time. Say the words “Bill Gates” within earshot of your microphone and a short animation of a shades-wearing Bill Gates riding a cool motorbike will play out on the desktop. He’ll do wicked wheelies and skids across the tops of open windows before turning to face the user, waving politely and then riding off into your desktop wallpaper in a puff of glitter. 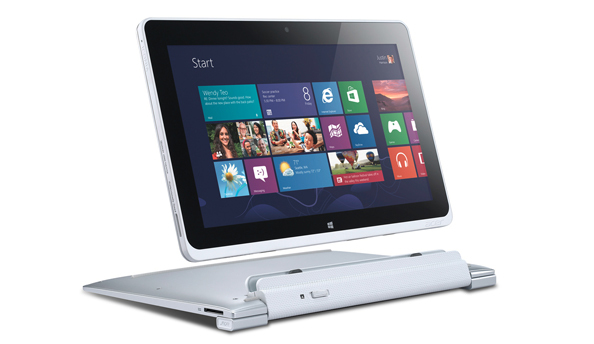 Rather than having to navigate to the Windows 8 Charm Menu, click on the system preferences icon and select “power options” before clicking “shutdown”, users of Windows 8.1 can now simply slam a well-aimed fist against the corner of their PC case in the iconic Fonzie fashion to initiate a shutdown or a startup. 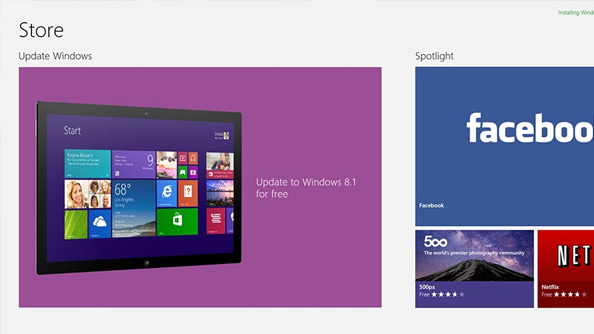 Windows 8.1 can now run up to four apps at the same time, one in each corner of the screen. And by utilising the full potential of 64-bit processors, users will be able to reposition these apps wherever they please. Top right corner? Sure thing. Bottom left corner? Why not. Bottom right corner? The world is your oyster. Top left corner? Yep, any corner you like, you’ve just named all the corners. This isn’t a default option in Windows 8.1, but it can be easily found and activated in the control panel after installation. Once switched on, the deceased pet you most frequently dream about will apparate outside your bedroom window between 2am and 3am the following night, with some fun 8.1 differences! For example, your pet will no longer bark or miaow, but instead will open their mouths to emit a deafening static noise. The creature will require neither food nor rest, opting to spend each night staring at you with their sad, cold eyes while you sleep.